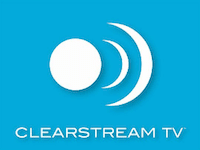 The ClearStream Over The Air Digital Television Tuner Rocks! Often one of the most difficult thing there is when installing an antenna is to get the wire from the antenna over to your TV. Now the ClearStream TV Digital HD Tuner can help make this task much easier. If you are one of the 29 percent of Americans still unaware that FREE local TV is available from an antenna, then this may be of interest. Yes, you can get a nice selection of popular local channels which have some of the most sought after shows on TV. These are all available for Free and are broadcast in super high quality HD. NO CABLE TV ACCOUNT NEEDED! Channels you may receive include: ABC, CBS, NBC, PBS, FOX, The CW, plus some more local educational channels, Spanish language channels, and even quite a few others. To check which TV channels you may receive in your area from an antenna, add your zip code into the TV.TV.us website. Then choose Broadcast for your city. Antennas Direct is the company that also makes some really great TV antennas like the ClearStream 4V Extreme Long Range antenna. What is The ClearStream OTA Digital TV Tuner? We want to thank Antennas Direct for sending us an early production TV tuner to have a first hand look at. Their company is on the forefront of antenna design and they are helping cord cutters everywhere free themselves from expensive monthly cable TV bills. At first, we thought this was a new DVR but that's not really the purpose of this little TV tuner. Instead, it was designed to easily install right in line with an indoor or outdoor TV antenna and wirelessly transmit the live TV signal to your favorite WiFi enabled devices. One of the best things we really liked about this little TV tuner is it will let you pause, rewind and fast forward live TV for up to 60 minutes. Something you currently can't do on a live TV with an antenna without a DVR or unless you have one of the new Roku TVs that also let you pause live TV. Think of this little TV tuner as a cordless TV antenna. Instead of having to drag an unsightly antenna cable across the living room floor to attach to the back of your TV. Which is even harder if your indoor antenna needs to be placed up high in a window across the room and down the hall from your television. 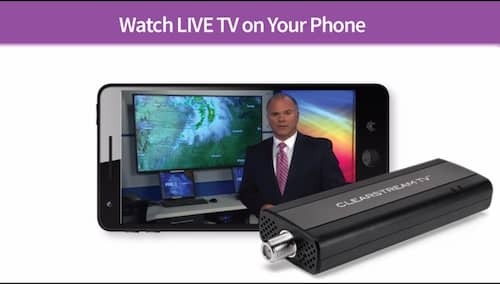 Instead, the ClearStream Digital TV Tuner takes the TV signal you would normally receive from an over the air antenna and converts it to digital signal so it can then be re-transmitted right to any device on your home network using your wireless Router. This opens up an entirely new world of possibilities. Watch the ball game outside on the porch on your Nvidia Shield Android K1 tablet while your wife watches her favorite Soap "The Bold and the Beautiful" inside on the TV. - Easy to install and setup. Just takes a few minutes and the companion software guides you through. - Lets you easily watch free OTA Live TV from antenna on your FireTV, Roku or Portable Devices. - Channel changes are not instant like what you may be used to although they are still reasonably fast. - Tuner includes a simple FREE TV guide. Others charge extra monthly fees for their TV guide. - Picture quality is very good. - Pause, rewind and fast forward live TV for up to an hour works great and is a nice feature. - No DVR Function to record TV shows. Maybe a future update or a work around can be found. - Single Tuner. Only one stream can be watched at a time. - Works better the closer it is to your TV and Router. Wish it had longer range for larger homes or between floors. There never seems to be enough electrical outlets, it would be awesome if Antennas Direct could design a wall wart that came with two power connectors so you could plug in both an amplified antenna, and the TV Tuner and only use one outlet. Or, maybe a jumper cable that could plug in to their ClearStream Eclipse antenna so it could also provide power for their TV tuner. Hooking up the ClearStream Digital TV Tuner is super easy. Plug the cable that comes from your antenna into the the TV tuner. It's hardly any larger than many streaming TV sticks. Then plug the power adapter into a wall outlet and power it up. Once the tuner is powerd, just go to the ClearStream app you want to use on your device. It will walk you through the setup process. You will need to enter your WiFi network, login and password so be sure to have it handy. Then all you need to do is scan for the channels you will receive, which takes just a little while. Once done, you will be able to stream FREE live TV to all your favorite devices. 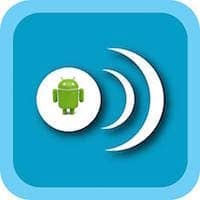 These apps will only work if you have purchased the ClearStream OTA Digital Tuner and have it hooked to your antenna. This TV tuner will work with any over the air (OTA) TV antenna. You also need a WiFi Router in order to transmit the TV signal from the digital antenna tuner over your home network. ClearStream TV Companion Roku App! Here is a great tip for installing a roof antenna. Use the mast from your old satellite dish. It already has the wire running to your TV and is grounded. Just run a splitter where the cable goes to your TV and hook one cable output to your Antennas Direct TV Tuner and the other cable output to your TV. This way you can watch live TV on two devices at the same time. The ClearStream digital TV Tuner is super useful to pause and rewind live TV on many different devices. There are really no other products that will let you cast wireless live TV in this price range just under $100. The Tablo does and it comes with two tuners and lets you record live TV but it is almost double the cost. They also charge $4.99 a month for their TV Guide. Since Antennas Direct includes their TV guide for free this makes it a great value and gives you another great way to watch Live TV. You can get the ClearStream OTA Digital Tuner at Best Buy or directly from Antennas Direct. For more antenna installation tips, please click here.